Bobby wonders where the bubbles go and Bibble, in space, wonders where they come from. 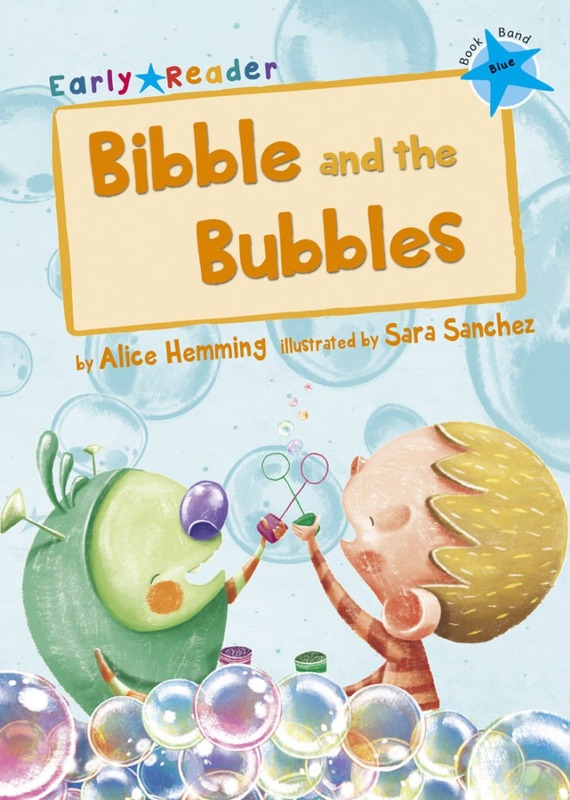 Bibble goes in search of the origin of bubbles and also finds himself a new friend! 150-200 words, one story per book with a quiz. Words covering the phonic patterns introduced at earlier levels, plus blending two or three consonants at the beginning, middle or end of words (e.g. stick, strap, stamping, wasp). Up to three lines of text per page. Sentence structures can now be more varied than at earlier levels, though still simple and speechlike. There is beginning to be more variety in the types of story included, with scope for some that are less familiar in setting.